Don’t buy those boring, generic gift bags. 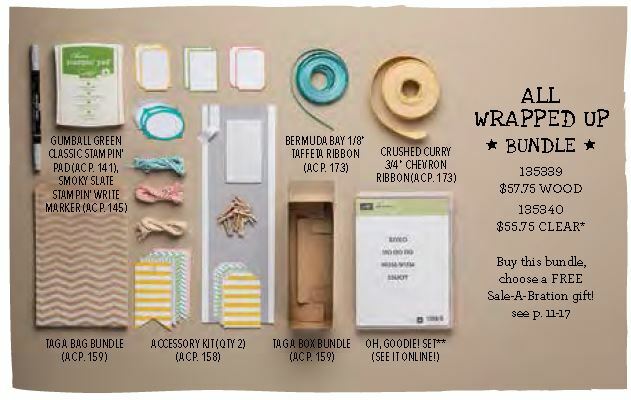 This All Wrapped Up Bundle will help you create beautiful packaging for any occasion. This video will show you how to assemble the Tag A Box and create a cute tag and ribbon bow to top it off. Buy this bundle and you are eligible to choose a FREE Sale-A-Bration gift! But hurry, this bundle is only available for a short time. The Tag a Bag Gift Boxes are Food Safe, no need for extra packaging! Throwing a Party? Impress with Your Mad Skills!